Established Men is a dating site with a primary agenda to provide a suitable platform where established and rich men can meet attractive young women for a sugar daddy – sugar baby relationship. The site boasts of an extensive user-base of college girls, entrepreneurs, and business men from different parts of the world. The site guarantees safety on the identity of its users as it does not share members’ information with any third party. This sugar daddy dating site also has exciting features that will make communication between members easy and interesting. As a sugar baby, being a member of this dating community is free. However, sugar daddies will have to buy a subscription plan to enjoy all the features. Registration on Established Men is direct an not so complicated. After you must have provided basic information about you during sign-up, you will need to set-up your profile by providing detailed information about yourself. This will make it easier for other members to know who you are and what you want. You will be able to upload photos to your profile too. After your profile has been approved by the admin, you can go ahead to check out the members and initiate conversations with other users. There are more genuine profiles as well as active users in this dating community. The customer agents responds quickly to complaints made about suspected members and removes them immediately. Its unique feature is the voicemail service that allows you to send and receive audio messsges in a safe and discreet way. You will need to buy a subscription plan as a man but it is free for women. It does not have a Smartphone app for Androids and iOS. Money back is not guaranteed upon subscription to any plan on the site. Established Men scrutinizes its members to ensure that only genuine members are in its community, as it frowns at fraudulent activities. It regularly checks and removes scammers from its user-base, and has also given members the power to block suspected users too to ensure a safe online dating. This sugar daddy dating site is simple to use, although it may take first timers moments to be acquainted with it. Established Men does not have a Smartphone app yet but its website pages are optimized for mobile use and you will not miss anything you enjoy on its desktop version. The site boasts of a large user-base of college students as well as rich sugar daddies that wouldn’t mind spending their cash and enjoying their luxurious lifestyle with interested sugar babies. 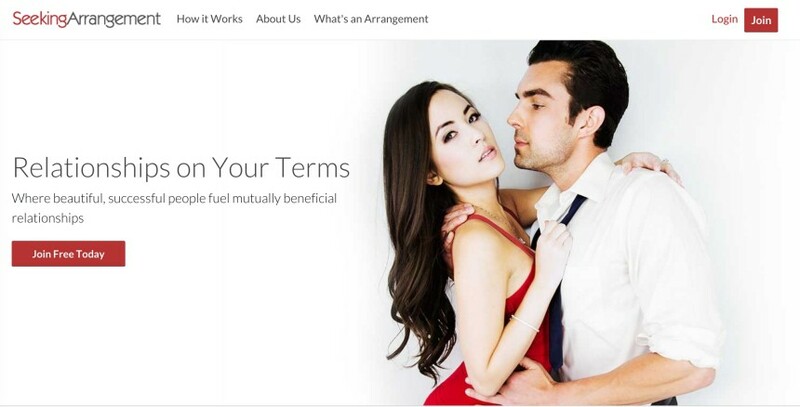 If you are a sugar baby and you have been dreaming of having a sugar daddy that will pamper you and even help you with your tuitions and upkeeps in college, you should check into the site. You will be able to initiate conversations in chats, send and receive unlimited messages from members. You can send emails to members that you are interested in. You can send flirts or send virtual gifts to members during a conversation. You can see the last time user log in to the site. You can upload photos to your profile as well as make photos private, where members request for a key from you to view them. You can hide your profile from been displayed in searches and you will also be able to block any member you do not feel safe communicating with. It has an excellent search algorithm that helps you make effective specific searches. It has a voice call feature that provides members with an effective means of communication without having to give out their contact.